The bitmap is scanned one more time than the specified number (Bug?). The values at which the scans are performed is nontrivial. The lowest (darkest) scan is always done at a brightness threshold of 0.2, the next scan is at a threshold of (0.2 + (0.9-0.2)/n). The output level of the darkest region is 0.2 and the lightest is 0.9. Other regions fall at evenly spaced positions in between. If the Remove background box is checked, the 90% region is removed. The image is traced into the specified number of paths via the following procedure: The number of colors in the bitmap is reduced to the value in the Scans entry box using an optimal set of colors chosen via the Octree Quantization method. 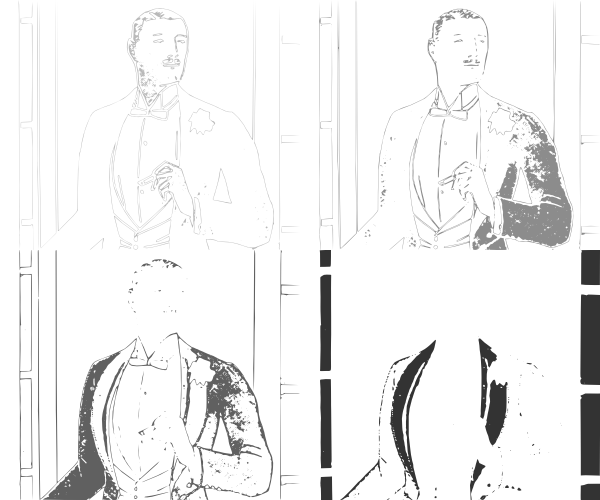 A black and white bitmap is created for each color, which is then sent to Potrace for tracing. Stack scans. The Stack scans option determines how the paths are defined. With the Stack scans box unchecked, the paths produced do not overlap; with the box checked, each path includes the area of the paths above it in z-order. The advantage of unstacked paths is that they are easier to divide into subpaths, while the advantage of stacked paths is that there are no «holes» between the coverage of the paths. 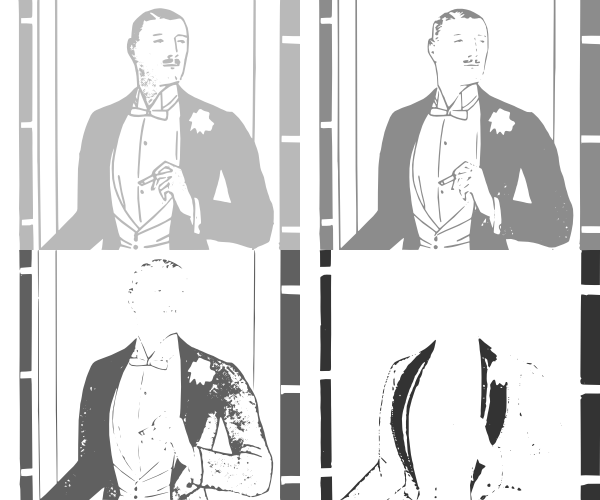 The differences between the two situations is depicted below.